Philippine basketball team coach Chot Reyes led the national contingent in the 2014 FIBA Basketball tournament to show case the skills of native athletes in competing for the prized admiration in a highly touted competition of basketball in the world. The best hoopsters from different countries in the planet will have a chance to display their court wizardly and win honors for their respective nation. And what better place for local boys to show sports aficionados in the universe their shooting and hustling talents than in FIBA (French for: Federacion Internationale de Basketball more commonly known by the French acronym FIBA or The International Basketball Federation held in Seville, Spain. Coach Chot Reyes was a picture of an accomplished sportsman. He was very confident that his boys could deliver the goods, considering the fact that his group is a selection of the best the Philippine basketball front can offer. 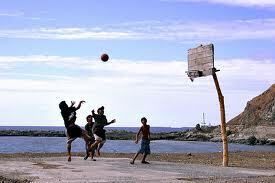 For Reyes, basketball in the country is a passion, a national pastime, almost equivalent to religion. Basketball players are celebrity to be feted, almost at par with Greeks gods in terms of good looks, popularity and sacred adulation by a star struck population. During my youthful days, we had Bobby Jaworski, Danny Florencio, Ed Ocampo, Jimmy Mariano, Tembong Melencio, Big Boy Reynoso, Manny Paner, Freddie Webb, Bernie Fabiosa, Atoy Co, and a number of great sportsmen. And they won quite a number of international tournaments too. Now, there are names I could no longer remember although the now generation has them in stellar proportion, the likes of Alapag, Pingris, Tenorio, and a number of Chinese sounding surnames, the entire team, that would do battle with the best basketball world could produce. And then it happened. The Philippine contingent made great strides in proving their worth, but it was never enough. At the end, it would always be a defeat. Inquirer columnist Conrado de Quiros would quip that for every game that they would figure in, the opponent would nearly get defeated except in the final count, the local team would lose vapour. Accordingly, it was a heroic effort although it is more of a martyrdom that would happen. And why not. The average height of the opposing contingent is 6’8”. The average height of the Philippine team is 6’4”. Comparatively, the average height of the local team at present is much better than their counterparts in the past. On top of that, the present team has even an edge in terms of legislating a foreigner to be conscripted into the contingent. Despite the advantage though, the Philippine team would nonetheless encounter a number of difficulties. Their rivals are bigger, taller, heftier and more athletic; schooled scientifically in the art of the sports, given proper nutrition, accorded institutional respect and sustenance. While we have a good coach, other teams have a number of coaches almost equivalent to the number of players! Again despite the disparity, ranking Argentina team, the third best team in the over-all standing in the world of basketball almost succumbed to a humiliating defeat in the hands of Filipino cagers. The Argentinian coach admitted that it was the first time he encountered a play formation which the local boys employed. He could not divine the proper remedy. His triangle offense and diamond formation could not resolve the scrambling type of play. Other teams that followed experienced the same challenge although in the final bell, the Filipinos would lose steam. Note that finally, in their last outing, the Philippine team about to go home empty handed, met the dreaded Senegal team. It has been a tradition, well almost, to beat this African team before taking the next bus home. Twice in the past by different set of Philippine teams succeeded in clobbering this hodge podge of a group. But wait. This Senegal team which the present Philippine team would fight is no longer the same faded jeans. The team includes three NBA players and one of them is Dieng, a first draft and a scoring machine for Timberwolves in NBA. No way for the Filipinos to clobber this squad without resorting to magic. Yet the Philippine team won. It would be a prelude of great things to come for Philippine sports in the future. One day, the Philippine team may as yet get its comeuppance in sports they subscribe to as religion. Sila ang tatanghaling pinaka magaling sa larangan ng basketball, kung papayagan lang ang team na maglaro ng NAKA PAA! Posted on September 5, 2014, in Uncategorized. Bookmark the permalink. Leave a comment.